Chris Emejuru says Nigerians should no longer recycle politicians. Former presidential aspirant, Chris Emejuru, has cautioned Nigerians against “recycling” politicians at the 2019 pollss. Emejuru, the founder of a consulting firm, Liberty Approach & Allied Consults, dropped his ambition to run for president under the All Progressives Congress (APC) over what he called a "non-friendly youth policy” of the ruling party. In a statement on Thursday, November 1, 2018, Emejuru urged Nigerians to support for young presidential aspirants running for office. He accused the dominant political parties in the country of electoral malpractices. "Since I have stepped down as aspirant for President in 2019, I have had time to observe the many individuals who have decided to take up the mantle as presidential flag bearers of their respective parties,” he said. While urging Nigerians to shun tribalism and religion while considering those who will represent them, Emejuru also declared his support for Tope Fasua, the presidential candidate of the Abundant Nigeria Renewal Party (ANRP). "We have a choice now in Tope Fasua of ANRP. We must not vote for a party because of tribalism, ethnicity or religion. We must now vote in someone with a conscience. An alternative to the status quo. An alternative to poverty. An alternative to hopelessness. This is why I endorse Tope Kolade Fasua of the Abundant Nigeria Renewal Party," he stated. The Independent National Electoral Commission says a total of seventy-eight candidates would be seeking election into the office of President at the 2019 election. 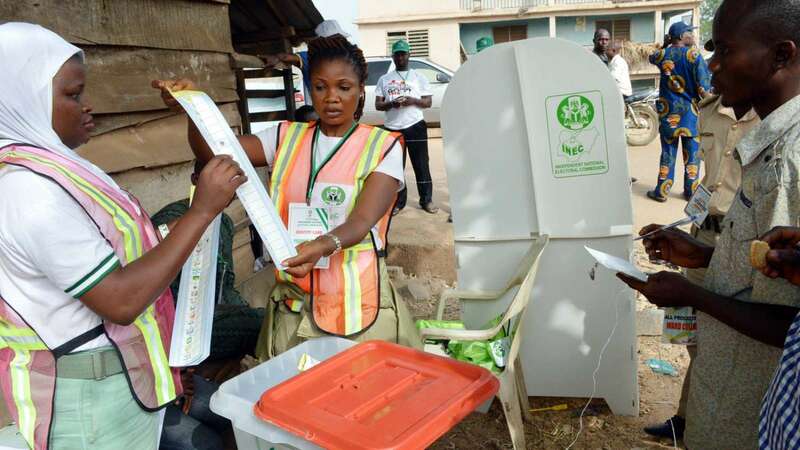 They include; President Muhammadu Buhari of the All Progressives&apos; Congress (APC) and former Vice President, Atiku Abubakar, of the People&apos;s Democratic Party (PDP), they face competition from other candidates including Donald Duke of the Social Democratic Party (SDP), Kingsley Moghalu of the Young Progressive Party (YPP), Obiageli Ezekwesili of the Allied Congress Party of Nigeria (ACPN), Fela Durotoye of the Alliance for New Nigeria (ANN), and Omoyele Sowore of the African Action Congress (AAC).